If you or your loved one recently suffered severe injuries in a scooter accident in Alabama, you may be dealing with an overwhelming amount of medical bills. You might also be out of work because of the nature of your injuries. You are probably wondering how you will pay for the many costs you are incurring. If your scooter crash was the fault of another party, then you could be entitled to compensation for your injuries. The Birmingham scooter accident attorneys of Farris, Riley & Pitt, LLP have more than 100 years of combined legal experience handling personal injury claims. Scooter popularity is a relatively recent development and laws surrounding them are still being formulated. However, that does not excuse the companies that sell and rent them from the obligation of ensuring that their devices are safe to use. You probably need help proving that somebody else is to blame for your accident, and Farris, Riley & Pitt, LLP can help. Call (205) 324-1212 right now to have our attorneys review your case and answer all of your legal questions during a free consultation. Why Do I Need a Scooter Accident Lawyer? Do you know who is to blame for your accident? An attorney can give you a definitive answer. Then they can make sure that party is held accountable. Don’t think that a scooter rental company or manufacturer is going to simply hand you a settlement for your injuries. Scooter companies are aggressively moving their vehicles to market in cities all over the country without any kind of licensing and are more focused on immediate profit than long-term details. These types of companies are not likely to admit liability for your injuries. In fact, there’s a strong chance that they will claim that you either contributed to, or directly caused your accident. Farris, Riley & Pitt, LLP can conduct a diligent, independent investigation of your crash and make sure that the liable party is held accountable. We will not rest until you are offered a fair and full settlement, and we will file a lawsuit when an insurer balks at providing one. Our firm can determine the value of your case and work to help you recover as much compensation as possible. Multiple verdicts and settlements in excess of $1 million speak to the success of Farris, Riley & Pitt, LLP. Kirby Farris and Ken Riley were both born and raised in Alabama. They now reside in Birmingham and take pride in helping the people in their community whom they consider friends and neighbors. 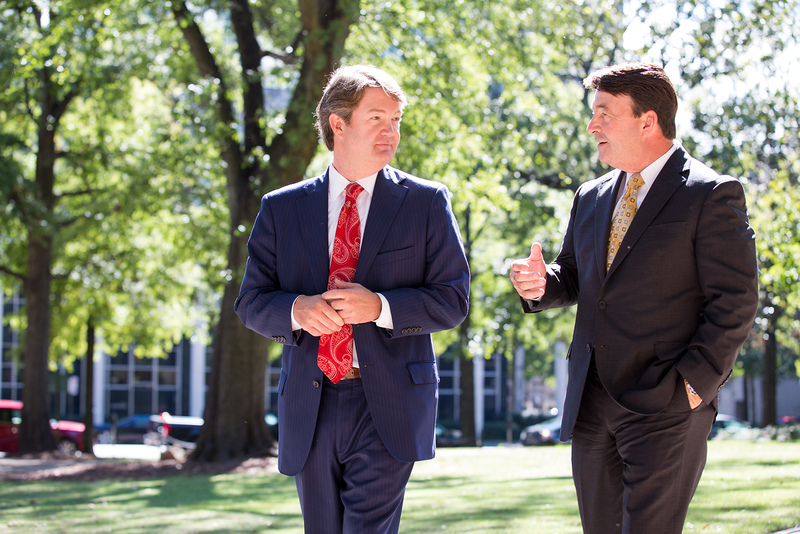 Mr. Farris and Mr. Riley are both members of the Alabama Bar Association, Birmingham Bar Association, and American Bar Association. They are also both admitted to the Alabama Supreme Court as well as the United States District Court for the Northern District of Alabama, United States District Court for the Middle District of Alabama, and United States District Court for the Southern District of Alabama. Your best reason to work with Farris, Riley & Pitt, LLP is that you do not have to pay anything upfront for legal representation. We represent clients on a contingency fee basis, so you will only pay us when you receive a monetary award. Bird is a Santa Monica, California-based dockless scooter sharing company that recently began operating in Birmingham. During a city council meeting, Birmingham City Councilor Darrell O’Quinn said that Bird did not have a permit or business license to operate. The Alabama Media Group reported that Bird also illegally launched in Auburn and Tuscaloosa that same week. Electric scooter sharing has rapidly spread across more than 60 other cities over the past year, according to the Media Group. Lime — In May 2018, Lime partnered with Segway to launch a new electric scooter line. Lime also announced it had hit 3 million rides across its fleets of bikes and scooters. The company surpassed the $1 billion valuation mark only 18 months after launching. Skip Scooters — Skip is valued at $100 million. The company was launched in May 2018 by the founders of skateboard manufacturer Boosted Boards. Skip is focused on providing higher-quality dockless electric scooters. Spin — Spin was founded in 2016 and launched its bicycle sharing program in Seattle in July 2017. It launched scooter sharing in San Francisco in February 2018. Uber — Uber bought electric bike rental service Jump Bikes for $200 million in April 2018. Lyft — Lyft bought the largest bike-sharing company in the nation, Motivate, for a reported $250 million in July 2018. Even without rentals, many people in Alabama are also buying their own scooters or mopeds. In order to operate a motor-driven cycle, Alabama state law requires a class M driver license for anyone who has attained the age of 16 and a restricted license for anyone who has attained the age of 14. The Alabama Motorcycle Operator Manual defines a motor-driven cycle as “every motorcycle, including every motor scooter, with a motor which produces not to exceed five brake horsepower nor to exceed 150 cubic centimeter engine displacement and weighs less than 200 pounds fully equipped, and every bicycle with motor attached.” Mopeds are generally considered to be motor-driven cycles. Scooter accidents can have many different causes. One of the most common issues is with defective or malfunctioning scooter parts. In these types of cases, manufacturers could be liable for your injuries. In other cases, scooters malfunction because of lack of maintenance or improper repairs. In these cases, scooter rental companies could be responsible. Some scooter accidents are caused by negligent drivers. Motorists who cause scooter crashes can also be held liable. Scooter accidents can lead to a broad variety of injuries, ranging from sprains and fractures to traumatic brain injuries (TBIs) and spinal cord injuries. In the worst cases, scooter users may suffer fatal injuries. The phrase “contributory negligence” refers to an affirmative defense that a defendant may use in a civil action. It describes negligence that contributed to a victim’s injuries. Defendants can use this to argue that victims caused their own injuries. When it is proven, it bars the victim from recovering any damages. The effective claim-killing power is exactly why many insurance companies encourage victims to speak openly about their recollections of accidents, as any kind of admission of fault will be recorded and used against them. Allowing Farris, Riley & Pitt to speak to insurers on your behalf can prevent this outcome. How long do I have to file a scooter accident claim? In Alabama, the statute of limitations on virtually all legal claims is two years. Two exceptions are allowed, however. Minors are given up to two years after the date of their 19th birthdays to file actions, and a victim may also be able to have the limitations period tolled (delayed) if they sustained a disability when injured and were declared incapacitated by a court. You could be able to bring claims against governmental entities in Alabama, but state law applies a different statute of limitations for these cases. Under Alabama Code § 11-47-23, tort claims against municipalities have to be presented to the clerk within six months, and Alabama Code § 11-12-8 establishes that claims against counties have to be presented within 12 months. Damages are also “capped” (limited) in cases involving municipalities and counties. Under Alabama Code § 11-47-190 and Alabama Code § 11-93-2, respectively, recoverable damages cannot be more than $100,000 for one person and cannot exceed $300,000 for a single occurrence involving multiple claimants. In August 2001, the United States Consumer Product Safety Commission (CPSC) reported 2,250 emergency room-treated injuries associated with motorized scooters from January through July. The agency stated that the estimated 4,390 hospital emergency room-treated injuries associated with motorized scooters in 2000 represented a more than 200 percent increase over the estimated 1,330 injuries the prior year. In April 2007, the CPSC reported an estimated 10,015 emergency room-treated injuries involving motorized scooters from July 1, 2003 through June 30, 2004. The scooter directly contributed to the incident in about 20 percent of the cases, with issues including brakes failing to engage, front wheels wobbling, and handlebars coming loose or detached. For more than 20 years, Farris, Riley & Pitt, LLP has been fighting for people injured by the negligence of other parties. Our firm knows that many people injured in scooter accidents feel lost and confused about how to recover compensation for the harm caused. If you suffered serious injuries or your loved one was killed in a scooter crash, it is in your best interest to immediately contact Farris, Riley & Pitt, LLP. Our attorneys will provide an honest and thorough evaluation of your case when you call (205) 324-1212 to schedule a free consultation.